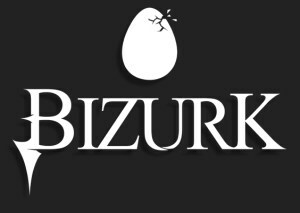 Bizurk Software concludes another month of TinyWars’ development by further expounding its Expanded Gameplay Model. The current build of TinyWars now features a functional Overworld page; functioning as an in-game dashboard, the Overworld provides a visual representation of player progress. Current build of The Overworld. 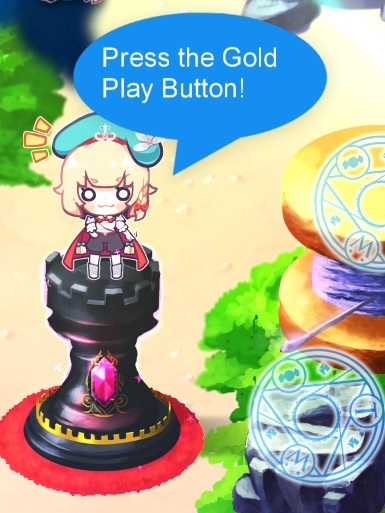 It was announced in April that said Gameplay Model would seek to blend various quest-based mechanics with tower defence gameplay, with players being granted the ability to complete both mandatory and optional quests to further the game’s tower-defence narrative. Zooming-in on The Stump Village area. 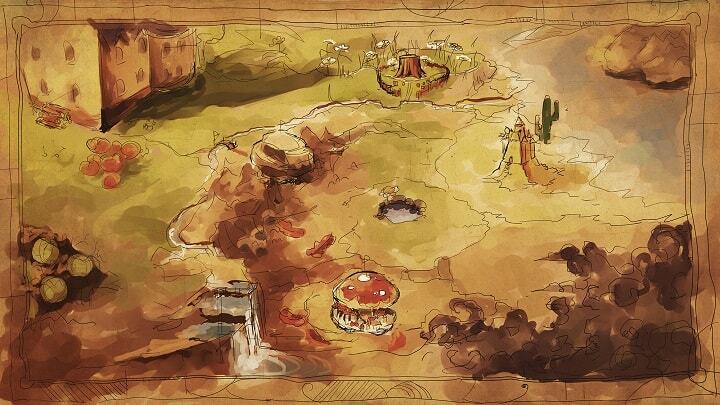 Zooming-in and selecting a particular area on the Overworld map yields various elements within that area — buildings, foliage and other populace — clicking on which takes players to a ‘Live’ world. 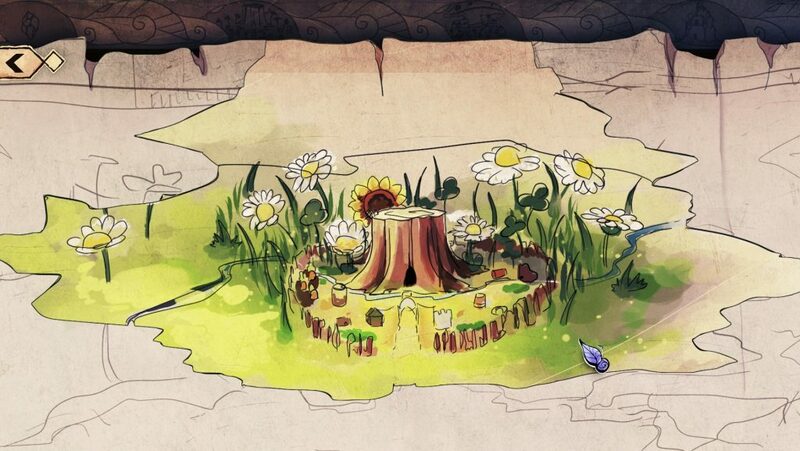 A concept of the ‘Live’ Stump Area. 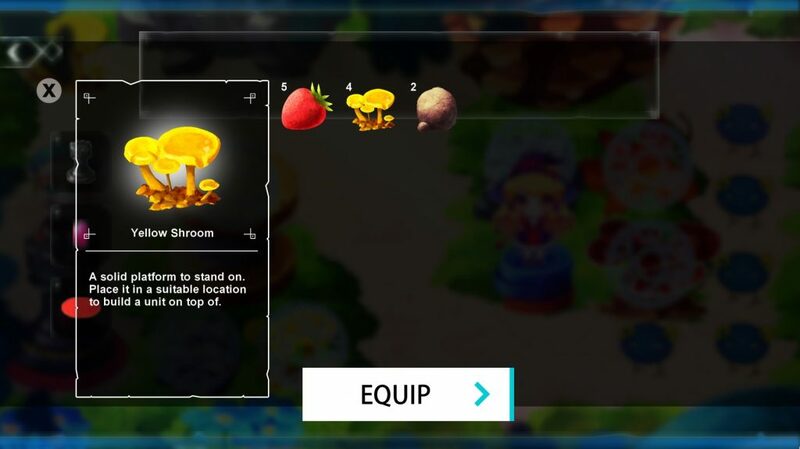 The Live world is a responsive version of the selected area, featuring various characters and elements that players can interact with, shops from which items can be purchased/sold, acquire/maintain properties within and even earn in-game currency via side quests. With regards to which, updates to the game’s various visual/GUI elements are now in effect. These include a new and improved notification system that aims to reduce cognitive load, as opposed to speech bubbles that exist within the current prototype. Existing speech bubbles on the TinyWars prototype. All notifications are set to appear in a distinct section at the top of the in-game HUD, which although providing the same information as the prototype HUD, now has a cleaner and more minimalistic feel. The new notification system that attempts to reduce cognitive overload. The improved HUD design further incorporates player feedback procured from the prototype, implementations of which can be seen in new pre-Battle screen and inventory designs below. The older version of the HUD found on the TinyWars prototype. Pre-Battle Screen that lets players pick power-up’s and items they’d like to take into battle. 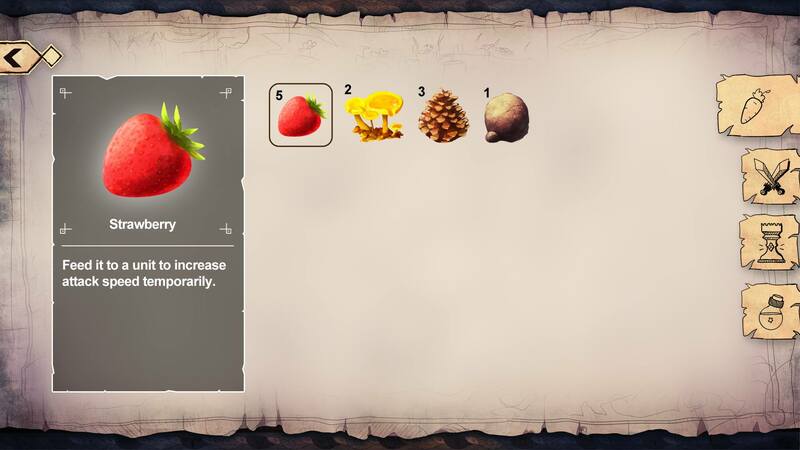 Inventory Screen. Switch between different inventory types using the side tabs while a smaller display describes selected items. The team is also working on various revisions for the game’s graphical style, hoping to implement them in code by the end of the month. A quick concept that experiments with a slightly altered in-game graphical style. Finally designs for a new enemy character, concepts of which were previously previewed on social media, were completed by artist Litchipix during the course of May. ‘Rose is not our friend; she’s capable of using her forbidden magic to control thorny bushes and plants.’ describes the development team. Due for a release later this year, the Story Demo will be a vertical slice of the full TinyWars experience. Those wishing to get their hands on a free tech-prototype of the game’s tower defence element meanwhile, can download the same for Windows PC and Android via the Downloads section of the game’s website. To ensure you’re up to date with the latest development milestones in relation to TinyWars, be sure to subscribe to E-mail updates via the sidebar on the game’s Higher Eclectic Space or to the game’s Sub-Forum. MemoryWars, a TinyWars-themed mini-game of Memory Cards is now available as a free-to-play Android app on the Google Play Store. Developed and refined by Bizurk Software over the course of January, this year, MemoryWars is a TinyWars-infused twist on the classic card game of Memory. With upto 12 levels to beat, players may compete with A.I or at least one other player to earn in-game currency and build a library of Collectable Cards featuring TinyWars’ various cute, rare and deceptive characters. Bordering at 10-50 downloads with a rating of 4.5/5 on the Play Store, MemoryWars has admittedly provided the team with an opportunity to experiment with Virtual Currency, in-game Collectables and the use of special effects/animations plus sound to enhance fun. Several of these ideas, especially those of cute animations, are now being carried over to the main TinyWars game. 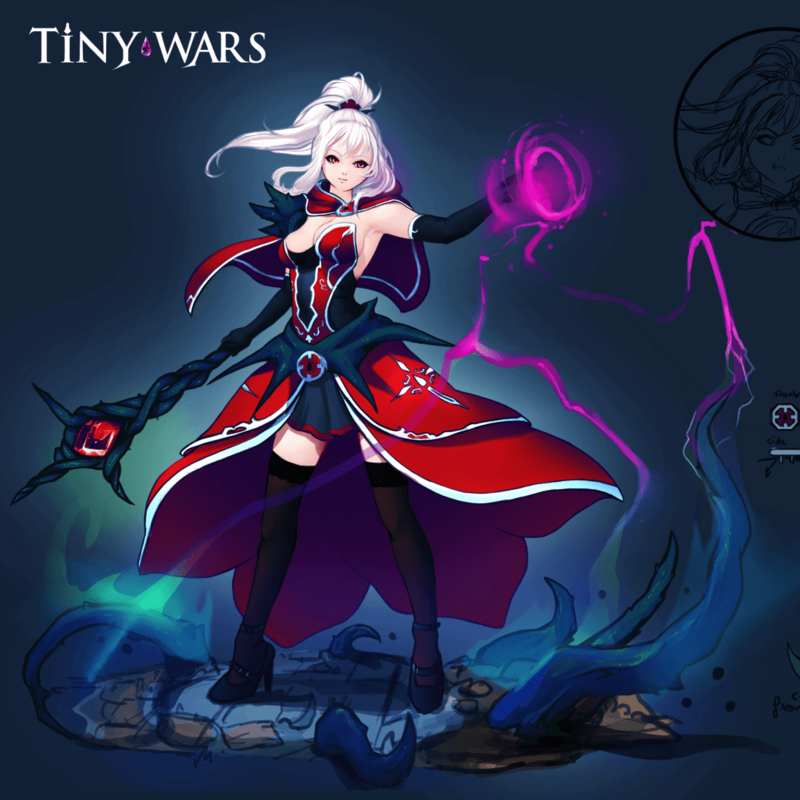 Following the successful launch of its free-to-play PC/Android game-play prototype in November, last year, TinyWars is currently having its complete narrative/gameplay experience developed. Cutscenes, user interfaces and various assets are being created for the same in preparation for a planned release of its vertical slice later this year. Additionally, the Prototype is also due for its final update later this month — bringing previously non-functional features such as touch zooming on its Android version and improved animations/visual effects to the fray. A sample of these improved effects can be seen attached herewith. Got feedback and/or queries? Interact with the TinyWars development team, share your MemoryWars experience and have your say in the game’s development at its Sub-Forum. This Press Release was brought to you by Higher Eclectic Ground, network for independent game talent to which TinyWars and the Bizurk Software team is currently affiliated. 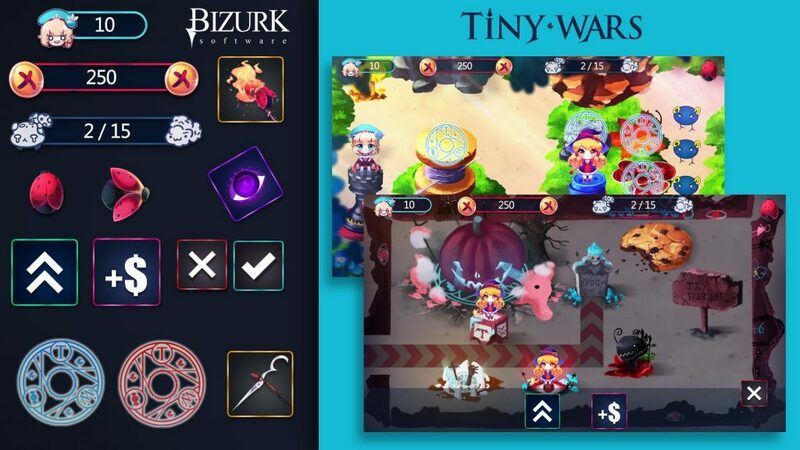 Following a successful release of the upcoming tower defense game’s prototype earlier this month, developer Bizurk Software has officially announced & commenced development of the complete TinyWars experience en route to a predicted 2018 release. Along with it comes news of TinyWars’ first official Demo; a vertical slice of the main game that will contain finished animations, enhanced controls, story/narrative cut-scenes and the implementation of its first four narrative chapters. The Demo has been given an estimated release period of Q3 2017, and will serve as an accurate representation of the full TinyWars experience, Lead Developer Andrew Taraba declares. This will of course be in contrast to the game’s now available Prototype, an implementation of TinyWars’ tower defense engine that was released after a month-long closed-beta period with intent of having its various gameplay mechanics tested. The remnants of 2016 then are to involve incorporating all gathered user-feedback therefrom in the optimization of the game-play engine. ‘We aren’t looking to add anything new to the engine at this time in terms of technical features, just improving what we have already assembled as our “template” for the final game.’ states Taraba. The production of in-game assets meanwhile has been ongoing behind-the-scenes, with the team further providing a look at various aspects of the full game. The first of these is a preview of TinyWars’ menu system; developed by the game’s primary background artist Chibionpu, the menu abides by a formative theme of TinyWars’ narrative.‘Imagine that somebody has been collecting hints and evidence for the existence of “tiny people”, compiling all this evidence into a scrapbook: This is the theme of TinyWars in terms of its visual design as well as how we plan to deliver the story.’ states Taraba. Indeed, the TinyWars narrative will be delivered via both in-game cutscenes and journal entries; the latter shedding light on the Kingdom’s history and ongoing struggle from the perspective of an investigator collecting evidence pertinent to the existence of the Tiny civilization. Although the name and details pertinent to this investigator/narrator are being kept under wraps for now, the team debuts a look at her newly conceived design (attached). This is immediately followed by a preview of TinyWars’ official soundtrack with the Edwin Toh composed theme song. 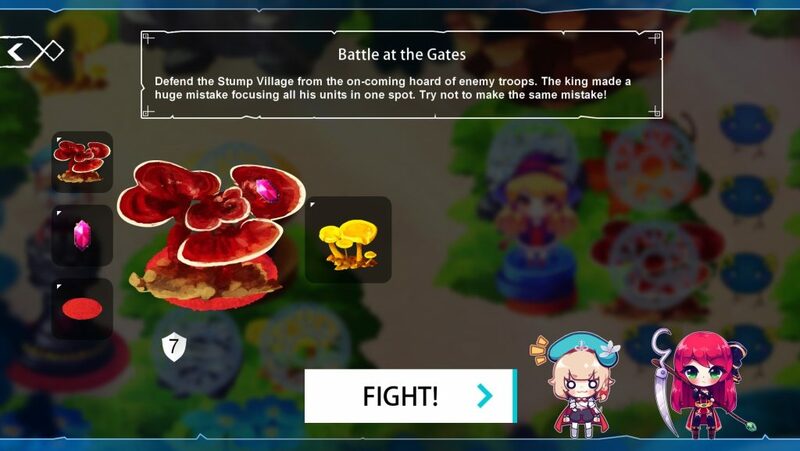 As the developers proceed to translating the flavours established by the soundtrack and its menu system into a complete implementation, various snapshots of TinyWars’ ongoing visual interface design can be expected in the forthcoming months. This is to be followed by development of various story/cutscene pertinent elements, relevant game-play sequences and even a tutorial level. Through all of this, both the Windows PC and Android versions of the Prototype will continue to be improved and updated. One may download the same at any time via the Downloads section of the game’s official development blog. Feedback is encouraged and may be conveyed to the developers directly via the game’s Facebook page. Attached herewith is an all-new poster showing off the game’s Melee character, WIP menu implementation, concept art of the in-game journal, investigator/narrator and TinyWars’ soundtrack cover artwork. This Press Release was brought to you by Higher Eclectic Ground, network for independent game talent to which TinyWars and the Bizurk Software team is currently affiliated. A journey of growth — both of characters involved and players themselves — its narrative encompasses the kingdom of Tiny and its inhabitants, as they journey through a world of constant conflict and learn of things far greater than themselves. Following the tale of one such inhabitant, a young girl named Mary, said narrative will illustrate her pursuit of justice from those that belittle her as she journeys to save her Kingdom for good. The months that ensued after the game’s bare-bones prototype were graphic & artwork intensive, with the team designing original assets, primary characters, animations and even recording a live orchestra for the main game in order to provide it with its own flair. A large portion of 2016 meanwhile has been devoted to the development of TinyWars’ game-play prototype. Prior to its release, a closed beta test of the same transpired between the months of October-November, the same year, with all gathered user feedback being used towards the development of the main game. Visitors to the Downloads section of the official TinyWars development blog may now avail of both Windows PC and Android versions of its gameplay prototype. An anime-themed sample of the main game’s tower defense engine, the prototype tasks players with protecting protagonist Mary against an onslaught of enemy attack across 15 waves. 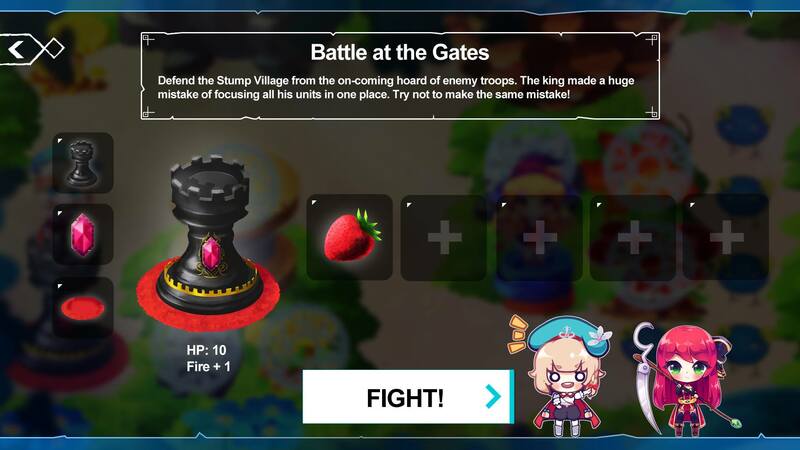 They must do so in typical tower defense fashion, strategically placing Melee/Fire units to take down the foe, all while upgrading and/or purchasing new units using procured currency to survive all 15 waves.While specific waves can also be retried upon failure, the prototype also comprises of a Tiny War — a periodic occurrence wherein ‘Dark Magic’ takes over, the level switches to a darker variation of itself and players are prohibited from using the ‘Retry Wave’ feature for a pre-determined number of waves. ‘We have created a tutorial that will help those who have experienced difficulty with our project get past the first 4 waves with perfect HP.’ Additionally, players might also find crucial game-play tips listed on TinyWars’ newly created IndieDB page. It is also important to keep in mind that the prototype is not a complete representation of the main game; all narrative aspects are absent, while technical glitches, bugs and inconsistencies should be expected. Expect a closer look at the progress being made by the main game meanwhile over the forthcoming weeks. This Press Release was brought to you by Higher Eclectic Ground, network for independent game talent to which TinyWars and the Bizurk Software team is currently affiliated. One can follow up on the game’s progress thus far, learn of what’s been said about its game-play prototype and opt-in for E-mail updates via its Higher Eclectic Space. A journey of growth — both of characters involved and players themselves — its narrative encompasses a Tiny kingdom and its Tiny inhabitants, as they journey through the world and learn about things far greater than themselves while being under constant attack. A large portion of 2016 has been devoted to the development of TinyWars’ first game-play demo. This demo, which stands scheduled for a late Q4-2016 release, will serve to help develop the TinyWars game engine while also presenting a playable prototype for public consumption that may not necessarily be representative of the main game. A closed beta test of the same will transpire a month in advance, before all gathered user feedback is used towards developing a second demo that will be representational of the main game in 2017. Comprising of a portion of TinyWars’ soundtrack and early concept art meanwhile, a pre-gameplay demo is also available for download. Having commenced on the 20th of October, the ongoing Closed Beta of TinyWars’ first playable prototype is all set to wrap up during the course of this week. In announcement of the same, Lead Developer Andrew Taraba further states that the prototype will not only be made publicly available for Microsoft Windows from the 20th of this month, but will also be accompanied by the launch of an Android version on the Google Play Store. With more than a year of development on record, the TinyWars Prototype is in no way a complete representation of the main game but rather — a crude, functional demonstration of the game’s tower defense engine. 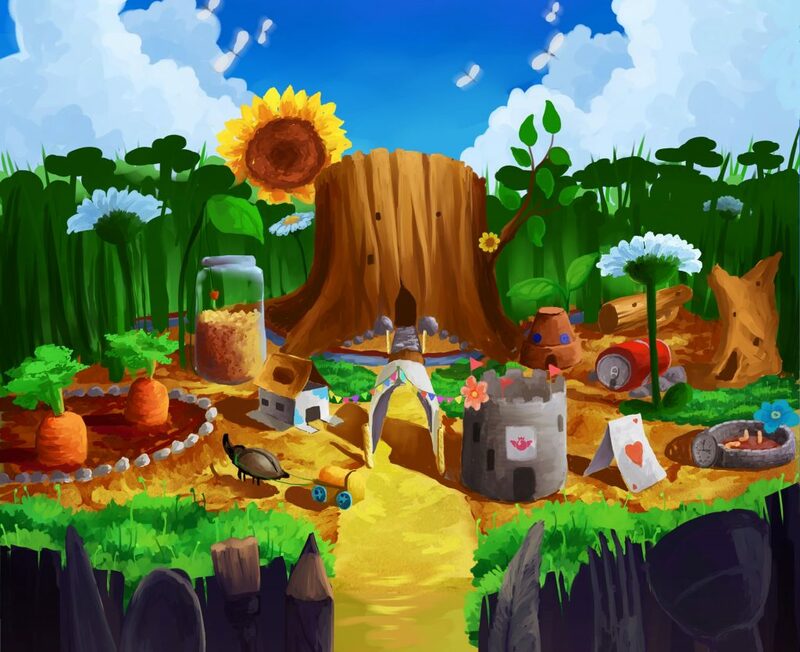 Serving to keep fans engaged in its development while also providing the developers with valuable feedback pertinent to general game-play experience, all opinion gathered during the course of both the closed and public beta of the Prototype is meant to go towards furnishing of the actual saga early next year. With the closed beta test inviting participants to record and send in game-play videos to the development team, Taraba articulates that the entire experience has been enlightening to say the least. Said game-play videos have served to illustrate basic player mannerisms in context of the prototype’s design, suggesting numerous changes to the existing GUI. Numerous glitches, some major, were also addressed during the test. Attached is a trailer announcing its forthcoming public release. One can follow up on the game’s progress thus far and opt-in for E-mail updates via its Higher Eclectic Space. Closed testing of TinyWars’ upcoming, publicly playable prototype officially commenced earlier this week on Thursday, the 20th of October. Having garnered applications from fans, followers, anime & tower defence enthusiasts alike for over a month, the closed beta test will now transpire over a period of 2-4 weeks in three ‘waves’. Although no dates as to the actual commencement of each ‘wave’ have been set in stone, applicants can expect revised builds of the Prototype to be rolled out to respective groups on a weekly basis. All of this of course, in favor of establishing a recursive flow to the Closed Beta that sees bugs both small and big being addressed before concluding circa 20th November. A fully revised edition of the Prototype will then be released to the public by the end of the same month. With more than a year of development on record, the TinyWars Prototype is in no way a complete representation of the main game but rather — a crude, functional demonstration of the game’s tower defence engine. Serving to keep fans engaged in its development while also providing the developers with valuable feedback pertinent to general game-play experience, all opinion gathered during the course of both the closed and public beta of the Prototype is meant to go towards furnishing of the actual saga. ‘I hope people will get a taste for the unique story-telling and tower defense/siege game-play we want to bring to the table.’ Regardless of its commencement, those willing to partake in the closed beta can still apply by leaving a message on TinyWars’ Facebook page. Attached are various screenshots from the Prototype’s current build. This Press Release was brought to you by Higher Eclectic Ground, network for independent game talent to which TinyWars and the Bizurk Software team is currently affiliated. One can follow up on the game’s progress thus far and opt-in for E-mail updates via its Higher Eclectic Space. 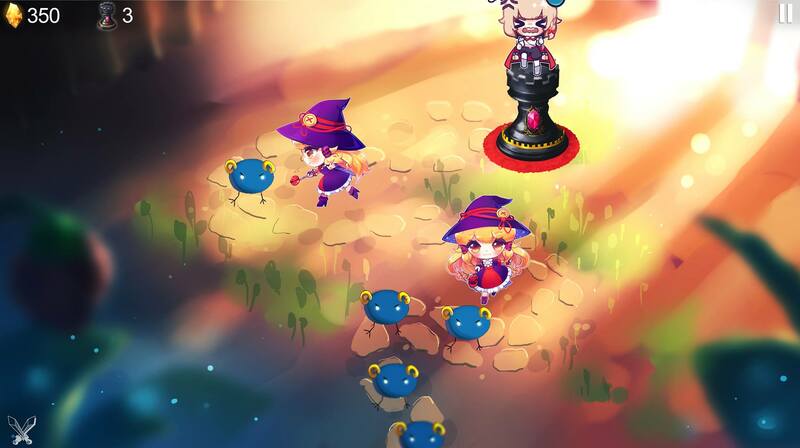 TinyWars Prototype Nears Completion; Apply Now For Closed Beta! Each of this were picked by a panel comprised of the game’s development team, artists and Higher Eclectic representative, that also made it a point to pick out a host of Honorable Mentions from the roster of participants. Besides providing the upcoming tower defence game’s following with the opportunity to bag one of seven limited edition character wall scrolls, the number and focus of the 70 entries received has proved particularly insightful as Lead Developer Andrew Taraba reveals. This is of course pertinent to the plot-line of the main game, most of which continues to be kept under wraps by the team. Work on TinyWars’ first publicly playable demo/prototype meanwhile has been ongoing ever since; while core game-play content has now been fully implemented, technical minutiae is in need of ironing before entering a period of closed-beta testing. The purpose of this upcoming demo/prototype, as reiterated by Taraba several times before, will be to demonstrate and evaluate the working of TinyWars’ gameplay engine. Consisting of a singular sandbox level that has players confront up to 15 waves of enemies, nearly all of its visual and game-play features will be subject to change. 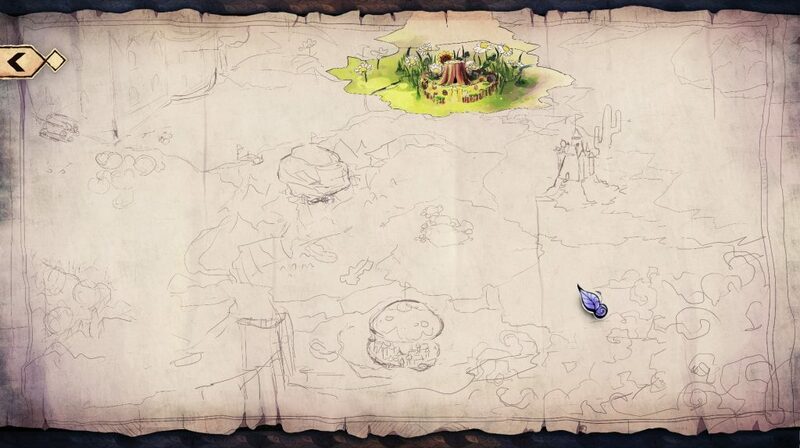 It will also of course be released to the public post a month of closed-beta testing, with all user feedback being used in shaping the main game.‘Someone had suggested that we call this a “Siege Game” because “Tower Defense” has such negative associations with it,’ Taraba reveals, further adding that TD is now often regarded as stale or dead. Those willing to partake in the closed beta are invited to message the developers via the game’s Facebook page. A more concrete time frame and date of release for the same will be announced shortly. Attached are the seven winning entries in order of their listing, followed by previews of the prototype’s Level Complete and Game Over screen drafts.